Home > Sports > Beach Balls > 6" Beach Balls > Multi Colored Beach Ball 6"
Does your athletic center or gym feature a pool? Then hand out the custom imprinted 6" Multi Colored Beach Ball to encourage your clients to have fun with their workouts. They'll love the brightly colored ball that is sure to bring their exercises to the next level. Distributing inflatable beach balls is a great way to get your message seen when recipients are relaxed and having fun! Inflatable Beach Balls are a great way to get your message seen when recipients are relaxed and having fun! 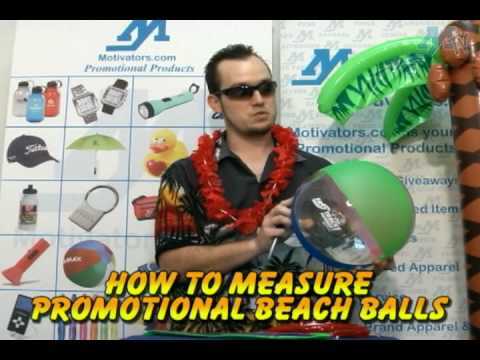 Industry standard: Beach balls are measured inflated pole to pole, half the circumference. Customer Review: Kids loved it! Customer Review: I thought this product would be larger when purchased. I was disappointed with the size. Imprint was OK. Customer Review: The quality of both the product and the printing was very good. Customer Review: 6 inch beach balls were really only 4 inches in size when blown up. Customer Review: The beach ball was perfect for what we needed. The logo looked great on it, and everyone loved it.